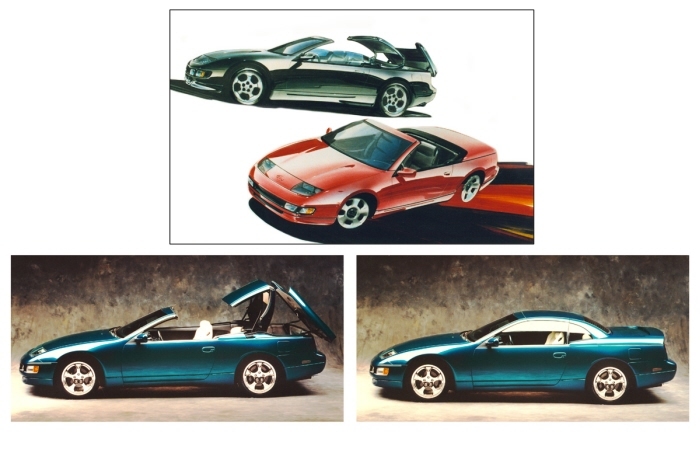 When Nissan enthusiasts think of ASC (American Sunroof Company | American Specialty Cars), the first thought is often the Nissan 240sx Convertible – a rare enough car in its own right, but nowhere near as rare as the 300zx Spyder Concept that was introduced to the public on March 3, 1992 at the Geneva Auto Show. Back in the 80’s-90’s, Nissan used ASC as a “coachbuilder” who did the convertible conversions of their coupes to convertibles, with amazing results. Some of the most notable Nissans that ASC is responsible for include the 240sx and 300zx convertibles. But the 300zx Spyder Concept was something completely different – Built for ASC and Nissan by built by Mike Alexander (of the world famous A-brothers) at Metalcrafters, the same custom fabricator that built the 1999 Z concept along with many of the other Nissan concepts listed. 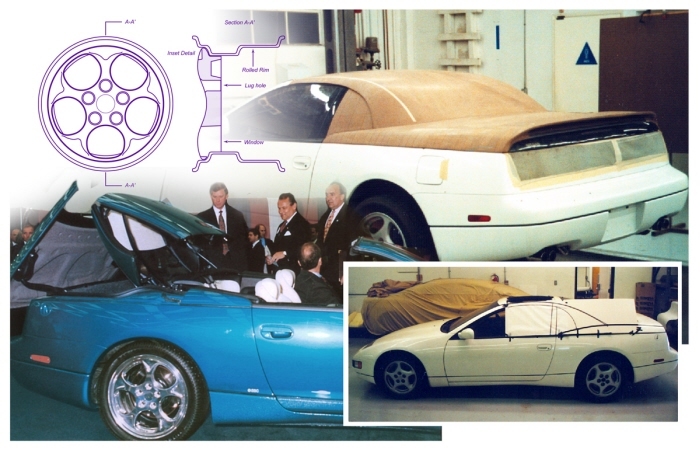 Nissan gave ASC a white 300zx 2+2 with instructions to transform it into the “Spyder” concept, which ultimately resulted in Nissan awarding ASC the contract to build the Z32 convertible. Once completed, the 300zx Spyder featured ASC’s radical new articulating hardtop system which revolutionized the modern convertible and ushered in a new era of hardtop convertibles. The Spyder thus became the first modern retractable hardtop convertible, and the very first production-ready convertible Nissan Z. The car wasn’t actually titled until 1995, well after it was shown in Geneva, Detriot & Paris as a Nissan retractable hardtop, garnering extreme interest in the Z32 and setting the stage for an enthusiastic public to embrace the 300ZX as seen in the famous GI Joe / Barbie 300zx commercial featuring the Z32. All in all, even though the 300zx Spyder didn’t go into production, it had a dramatic impact on the automotive world. In fact, the system would later go into production on the Mitsubishi 3000gt Spyder, Mercedes SLK & Peugeot 206cc. And it all started with a Nissan. Meet other Z32 owners, and read more about the 1990-1996 Nissan 300ZX here. 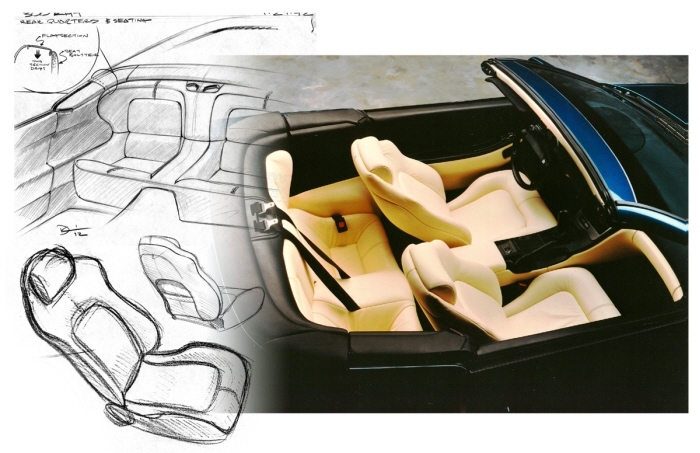 View more pictures of the only existing 300ZX Spyder Concept here.